If you’re tired of hearing about the Hillary Clinton email debacle, you’re not the only one. Former Maryland Gov. Martin O’Malley — Clinton’s most likely challenger in the Democratic presidential primary — said Wednesday that he’s a “little sick of the email drama.” Moreover, he’s not so sure Clinton’s Democratic presidential nomination is as “inevitable” as it may seem. According to O’Malley, addressing the email controversy and a possible new email policy is not going to do anything to restore that middle-class opportunity. While Clinton’s decision to use a personal email account during her tenure as secretary of state may be the talk of the town right now, O’Malley refused to answer questions on it during his appearance on Morning Joe. His reasons? He said, “none of that would make a hill of a difference” to people struggling in the economy and, moreover, email is “not the issue that’s going to restore our economy. ... People don’t care so much about email policies." O’Malley’s diplomatic attitude about the email controversy mirrors his logical, “data-driven” approach to governing that he touted during a speech Wednesday at the Brookings Institution. He says he's more interested in statistics and “doing the things that work” than partisanship and politics. 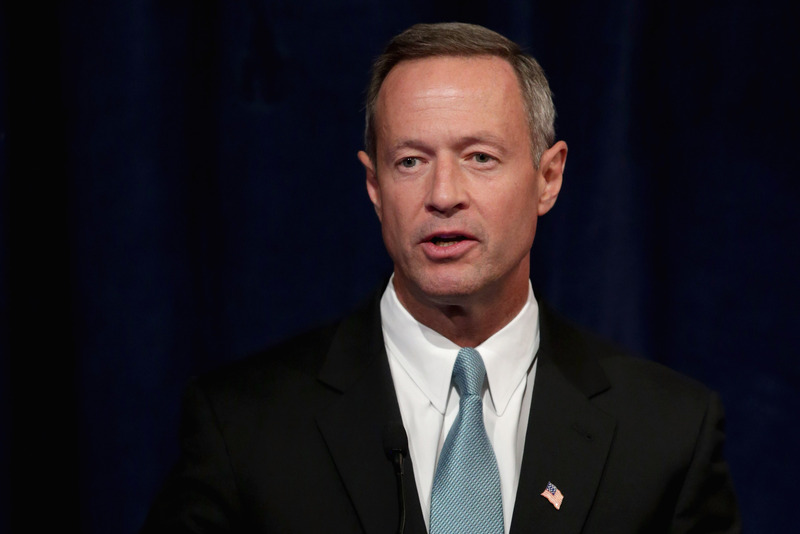 “I would be running not only to win, but to govern well,” O’Malley said about his potential run in the 2016 race. However, some don’t think O’Malley has much of a chance to win, especially up against Clinton. Early polls show Clinton with a massive lead over O’Malley, USA Today reports. A poll this week by NBC News-Wall Street Journal found that only 11 percent of people envisioned voting for O’Malley. A whopping 67 percent had no idea who he even is. And, as The Washington Post’s Dana Milbank points out, as logical and even-keeled as O’Malley’s statistics-based approach to the presidency may be, that’s not the sort of message that would excite the party base and push a candidate closer to the presidency. Moreover, his decision to stray away from the email controversy questions rather than addressing them head on further raises the existing doubt as to whether or not he is ready to challenge Hillary. But O’Malley seems to think that he is up for the challenge. We’ll find out for sure this spring though, when O’Malley announces whether or not he will run.